Hey Tanesha! I'd love to be in on the giveaway. Hope being first isn't the kiss of death! Okay, now I'm officially following but you've been on my reader for a long time. Thanks for having the giveaway! Books I love 'em. Maybe this one will start me along the path to quilting. Elizabeth's book looks so awesome! Thanks for the giveaway. I'm working on one of her quilts now. It would be great to win the book too. This looks like a great book, just from the cover and I do follow your blog and love the podcasts, even though I haven't had a chance to listen to the latest one. And I'd love to win the book! Enjoy the podcast while I am sewing. Yeah! A new podcast AND the chance to win a book on my wish list. Thanks for the opportunity! This looks like a great book. Thanks for the chance to win. I just want to tell you how much I am enjoying your podcast. I haven't done landscape quilts, but it's nice to hear your own perspective on quilting. Also, how did you get that awesome job? And I am now a follower, although I have been following through Reader for a while. I'd love to win that book! Thanks for the chance! Thanks for doing the giveaway. I haven't listened to the newest podcast yet, but I'm really looking forward to it. 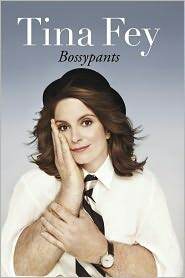 I've been on the fence about getting the Tina Fey book so I can wait to hear your thoughts. And your photo quilt looks great. I would love to enter the giveaway..have your blog on my igoogle page so i can check it daily...also just signed up as a follower. I have listened to all your podcasts and I really enjoy it. In additional to the quilting info...I also love your book reviews. Wish I had more time to read! 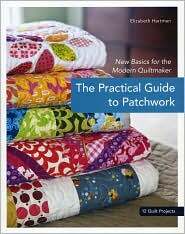 Please keep me in mind for your give away..."The Practical Guide to Patchwork". Hi Tanesha. I really enjoy your podcasts especially the book reviews. I'm always learning something! Oops! I forgot to say that I've signed up to follow the blog also! Thanks. Oh, sign me up for this give-away--I'm dying to read this book! By the way, I saw you gave "I Think I Love You" one star. I loved her first book, but could only get through about 20 pages. So disappointing! Whoops--mean could only get through 20 pages of the new book. I finished the first one, of course; how else could I love it so? I've been listening to your podcasts from the beginning and look forward to new ones. You touch some of my interests - landscape quilts and books, books, books. enjoyed the discussion of Lasagna Gardening too. hope you keep us the good and interesting work. Tanesha, I would love to be entered into the drawing for this book! Thank you for sharing. I really enjoy listening to your podcasts. Just started listening to your podcast. 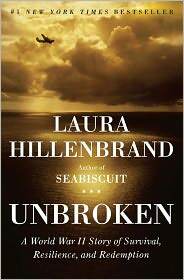 Checked out your books on Goodreads and have downloaded "Unbroken" on my IPad. I have to say, I am not much of a biography reader, but your review made it sound so interesting. Also, I added your blog to my blogs that I follow. Would love to be a part of your give away. I am now a follower! would love to win. I look forward to the photo quilt tutorial. 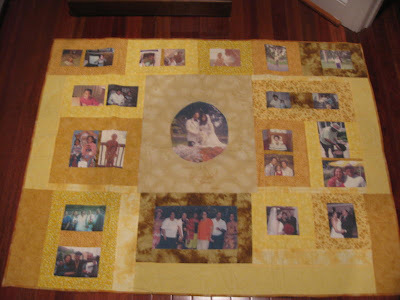 I have been thinking of making a photo quilt. Hi Tanesa. I've included comments above already but also wanted to say thanks for offering to do a tutorial on how to do a photo quilt. I would really like to do one and would appreciate a tutorial on it. Thanks. Okay I've spent the last week listing to your podcast from beginning to end. Your 1st post to thus one. It's great to listen while computing 2 days s week for the 3 hour total distance. As I listened I was sad to know I missed giveaways. And happy to know that I am in time for this. The last episode I listed to was seeing red, and I am so interested in redwork yet haven't seen many talk about it. I have lots more to share about how much I love about your style and "add" craftinghabits that sound a lot like me! Hope my name is chosen. We share the same weakness. I love book and magazines. I love when the mail comes. I truly make an effort to cut back but....... Thanks for the chance of having these in my mailbox.